Without taking a second thought transform your ideas into a trip full of excitement and fun with the team of CAR RENTAl which offers a best deal customized by you. We are one of the leading Car Rental Service Provider in all across Jaipur. We are value oriented and focus on the requirement of our clients and best car rental deals to our clients. Jaipur is the city of remarkable blend of history and contemporary time. You can enjoy the artifacts and the scenic beauty amalgam in the same city. Places to visit are Amber fort nearby two other beautifully built forts Nahargarh and Jaigarh Forts followed by the natural scenes of Kanakghati and then alluring Jalmahal. Fascinating destination in the city are Hawamahal and Birla temple. 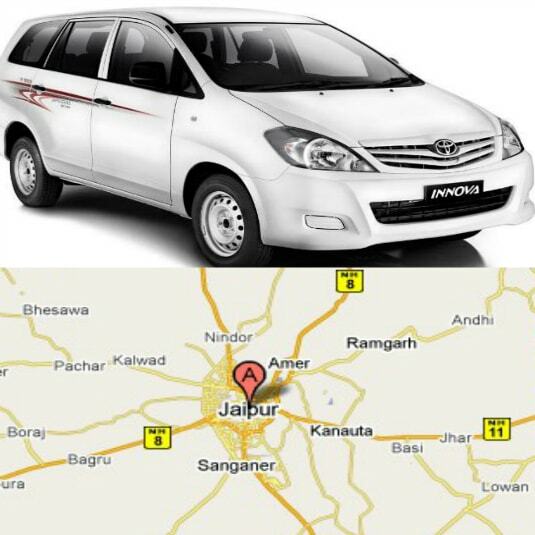 In this pack we provides our cars(Sedan and SUV model) on rent in jaipur for one day sightseeing excursion to Jipur city. After exploring Jaipur we will driven towards Railway station or the airport.!! !